Two years ago at Otakon, we sat down with anime director Ei Aoki ( Fate/Zero , Wandering Son ) and two producers from his series ALDNOAH.ZERO to discuss their new studio Troyca and their favorite movies and TV shows. This year Aoki was back at Otakon (newly relocated to Washington, DC) to promote his currently running series Re:CREATORS , about fictional characters coming to life in modern Tokyo. 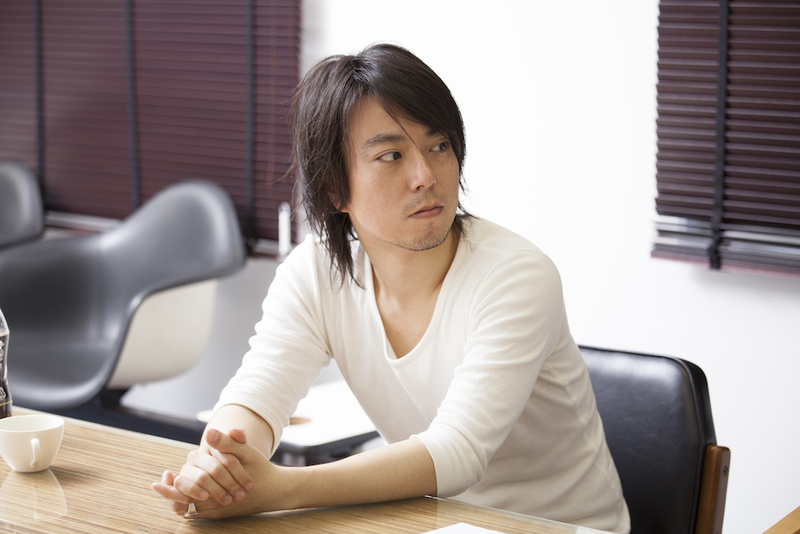 Aoki is far from a household name among anime fans, but he’s one of the most distinctive modern TV anime directors; his works have a tendency for particularly cinematic composition, high-contrast lighting, and brisk dramatic pacing. In a brief interview, we discuss how Hollywood films inform his directing style, the works of Christopher Nolan, and the process of adapting Rei Hiroe’s original Re:CREATORS script into anime. Big thanks to Otakon staff and Aniplex of America for making the interview happen. In your panel, you mentioned that you're a big fan of Hollywood movies and you took a lot of inspiration for a particular car chase from Spielberg films. What are some other times when Hollywood filmmaking has influenced you? Now that you mention it, yes, I’ve been taking lots of influence from Hollywood films. Like, say, the signature scene from Star Trek of the lights slowly coming into the screen. I actually did something similar in Re:CREATORS . What I really like about Mr. Nolan’s films is the editing. The common climax in his movies is that there are actually two or three stories happening at once and then all the different stories' climaxes are edited into one, becoming one bigger climax scene. You also mentioned in your interview two years ago that you were a big fan of Christopher Nolan's Batman movies and that you liked the fact that he makes the superheroes feel real. That sounds a lot like Re:CREATORS . Is that something that attracted you to the series? Re:CREATORS was originally written by Mr. Rei Hiroe. When I saw it, I thought it was a very fun thing to make, so I wanted to become the director of the anime adaptation. So is Christopher Nolan a direct influence? Not exactly, but I guess I do kind of think that the feel of the Christopher Nolan movies — having the topic well-researched, and there being a depth and a reality to it — does have an indirect influence on [my adaptation of] Re:CREATORS . Some critics have noted that Nolan's films often have well-defined rule systems. Is that something you go for in your series as well? What I really like about Mr. Nolan’s films is the editing. The common climax in his movies is that there are actually two or three stories happening at once and then all the different stories' climaxes are edited into one, becoming one bigger climax scene. And I thought using that editing technique to move emotions is a very unique and powerful technique. So in that sense, I do feel that there's lots to learn from Christopher Nolan's films and his editing techniques. Have you seen Memento ? Did that factor into the nonlinear story of Ga-Rei: Zero ? Hm, did I watch Memento before or after Ga-Rei: Zero ? I actually think that Star Wars and the prequel episodes are the bigger influence on Ga-Rei: Zero . Ga-Rei: Zero is a much better prequel than the Star Wars prequels. What I thought was very interesting about Re:CREATORS is that when the audience doesn’t agree with something, even if it was a decision made by the creator, it does not get reflected. You briefly mentioned this in your panel, but I was wondering if you could expand on the idea that, in Re:CREATORS , you want people to get a sense that creating stories is rewarding. What I first felt really strongly resonating with me was that exact thing that was mentioned in Mr. Hiroe’s original story. 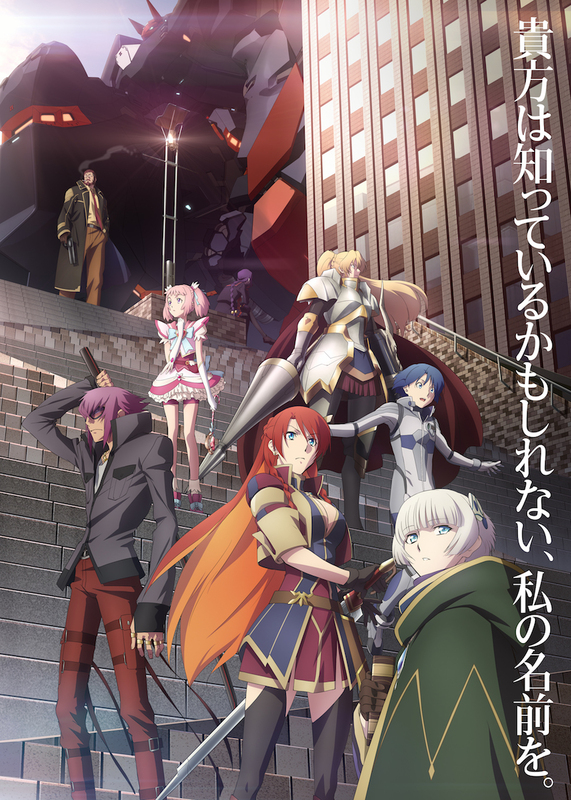 Setting-wise, in Re:CREATORS , there are three distinct groups of characters: the creators, the characters created by them, and the audience that sees them all. What I thought was very interesting about Re:CREATORS is that when the audience doesn’t agree with something, even if it was a decision made by the creator, it does not get reflected. Creation is basically a collaborative process? You also mentioned you had to modify some of Mr. Hiroe’s original work to make it flow better in anime form. What kinds of changes did you have to make? Mr. Hiroe's text is focused on is the story he's trying to tell, and in order for it to become an anime, there was some rearranging and adding and subtracting that had to be done. So in terms of adding, for example in episode 10, when Selesia comes back after being stabbed. That scene was added on and was not in Mr. Hiroe’s original text. And another is Sota confessing his sins. In the original text it was supposed to be much later. But that was brought up somewhat earlier in the story for the purposes of the anime.